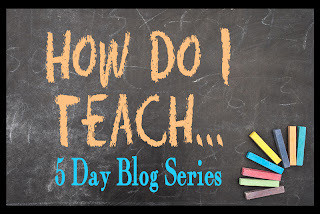 This week I will be participating the the How Do I Teach... 5 Day Series by some of your favorite homeschooling bloggers (visit the above link to check out all the topics)! 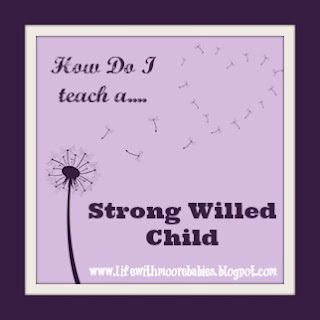 My topic is very personal to me as I have chosen How Do I Teach a Strong Willed Child. When you hear the term Strong-Willed what do you think of? I have a feeling most of the words you are thinking of right now (stubborn, difficult, dramatic) are negatives. In fact when I started looking for information on teaching strong willed kids, I really couldn't find any except a couple blogs asking for tips if anyone had them! (Note: There may be some out there, but I didn't find them in the first 3 pages on Google, so if you have one I would love to read it!) 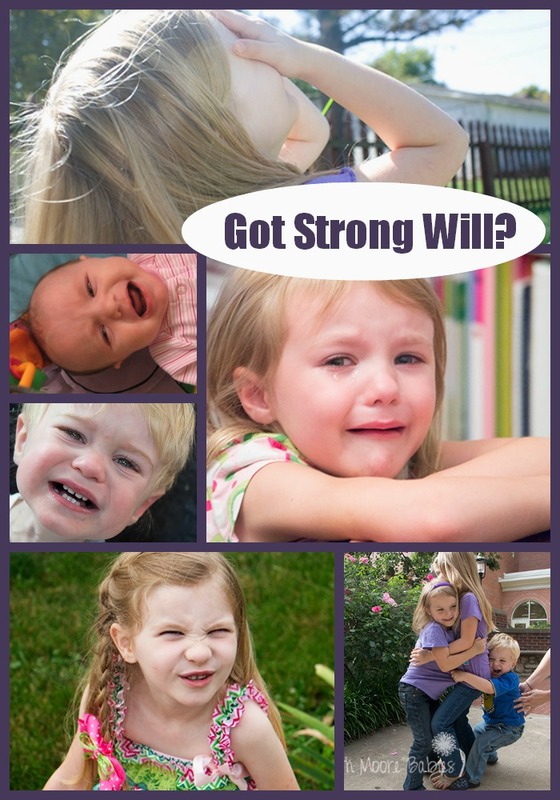 Most of what I did find were tips for coping with or dealing with your strong willed child. This struck me the wrong way! I am one of those strong willed children, and I never wanted to just be dealt with. You see strong will isn't a negative! Quite the opposite really. Having a strong will can be one of the greatest assets your child has! 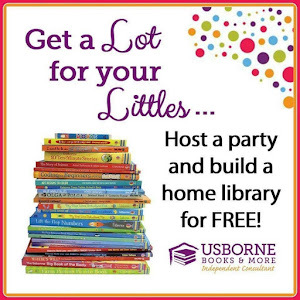 When used properly, strong will can propel your child to be successful in whatever they do! 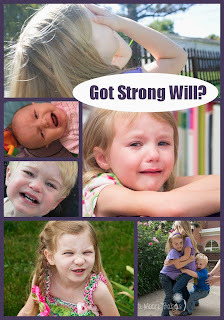 So do you have a strong willed child? You probably already know if you do, but let me give you an example from my own childhood that should explain it pretty clearly. (I am sure my mother will love me telling this story)! During middle school (11 or 12 ish) I did something that terrified me at the time and I am sure terrified my mother as well. It started at my aunts house which was between 4 and 5 miles away from our house, and I did NOT want to be there. I don't remember why we were there or why I didn't want to be there, but I didn't. I told my mom that I didn't, and that I was going home. She told me not to dare to walk down the street. Well my strong willed and overly literal mind decided if I couldn't walk down the street that walking up it was perfectly fine, and I went! I didn't know the way home as well up the street because it was a bunch of back roads instead of major roads I knew, but I knew the general direction and I started walking. I walked and walked, many times being so scared I wanted to turn back, but I couldn't. I knew I would be in trouble when I got home, I didn't care. In my mind, my mom didn't care how I felt, so I was going to do what I wanted no matter the cost. So I kept walking. It was summertime in the middle of the city. I was hot and tired and thirsty, but I kept walking. I walked all the way home so angry with the disrespect I felt I had been given. I walked all the way home so determined to prove to my mom that I could do it without her. I walked all the way home because that is where I wanted to go, and it really didn't matter to me what other people thought. (At this point I figure some of you are probably think I was a spoiled brat, but really that is the furthest thing from the truth.) I made it home and made myself some lemonade and then kindly called my mom (you see this all happened before cell phones). As a parent now I can only imagine how angry and yet happy my mom was when she heard my voice and knew I was safe. And I did get punished. I was grounded, I can't even remember how long, because it really didn't matter. I never regretted what I did despite being punished because to me I had every right to feel the way I felt and go where I wanted to go. This is a defining characteristic of strong willed people: they want what they want no matter what punishment they receive because of it. This is important to remember when parenting or teaching a strong willed child. It is also important to remember that there are ways that you can convince them to do what you want done, at least most of the time. By using these tools you can strengthen your relationship with your Strong Willed Child. And relationship is always more important than reading! 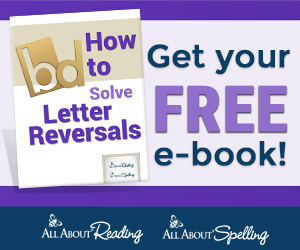 Be sure to check out all the blogs in this series; each with their own unique topic!